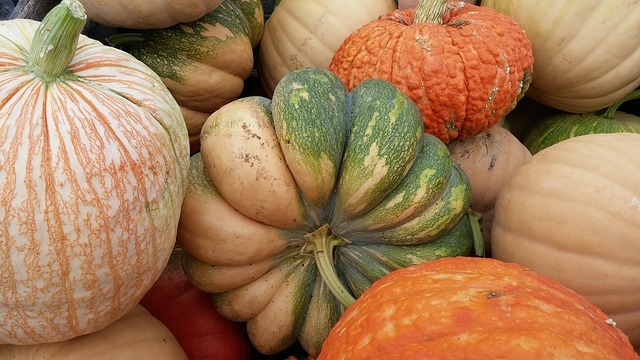 This time of year, pumpkins and other squash are at their peak. There are so many varieties to choose from and so many uses for them that can benefit our bodies. They are more than just decorations for the fall season! Did you know that a cup of cooked, mashed pumpkin contains more than 200% of your recommended daily intake of vitamin A? This necessary vitamin aids vision, especially in dim light. Pumpkins are also rich in carotenoids (the compounds that give them their bright orange color), including beta-carotene, which the body converts into a form of vitamin A. Pumpkin is an often-overlooked source of fiber that helps you feel fuller longer. Also, a cup of cooked pumpkin has loads of the refueling nutrient potassium, with 564 milligrams as compared to a banana’s 422. A little extra potassium helps restore the body’s balance of electrolytes after a heavy workout and keeps muscles functioning at their best. Pumpkins are also a great source of vitamin C; one cup of cooked pumpkin contains more than 11 milligrams. Don’t forget about the pumpkin’s incredibly nutrient-dense seeds! With a wide variety of nutrients, ranging from magnesium and manganese to copper, protein and zinc, pumpkin seeds are nutritional powerhouses. They also contain plant compounds known as phytosterols and antioxidants which can give your health an added boost. One-quarter of a cup of pumpkin seeds contains nearly half of the recommended daily amount of magnesium. Pumpkin seeds are a rich source of zinc (one ounce contains more than 2 mg of this beneficial mineral). Zinc is important to your body in many ways, including immunity, cell growth and division, sleep, mood, your sense of taste and smell, eye and skin health, insulin regulation, and male prostate health (where zinc is found in the highest concentrations in the body). Pumpkin seeds can also help your body get rid of nasty gut parasites. They have traditionally been used for this purpose by Native Americans. Stir in oats and salt. Bring to a boil, then reduce heat to medium-low and cook, uncovered, for 20 to 30 minutes, stirring occasionally so oats don’t stick to pan and burn. When thickened and most, but not all, liquid has been absorbed, stir in vanilla, pumpkin pie spice, pumpkin purée, maple syrup, and any dried fruit, nuts, or coconut, if desired. Store oats in a covered container in the refrigerator for up to 1 week. You may want to add ¼ to ½ cup milk to oats when reheating.